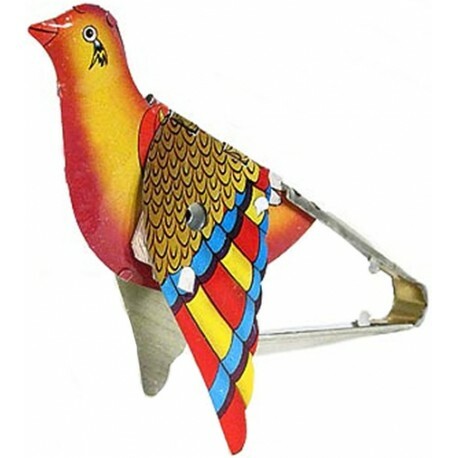 Tin, flapping, whistling, colourful bird. 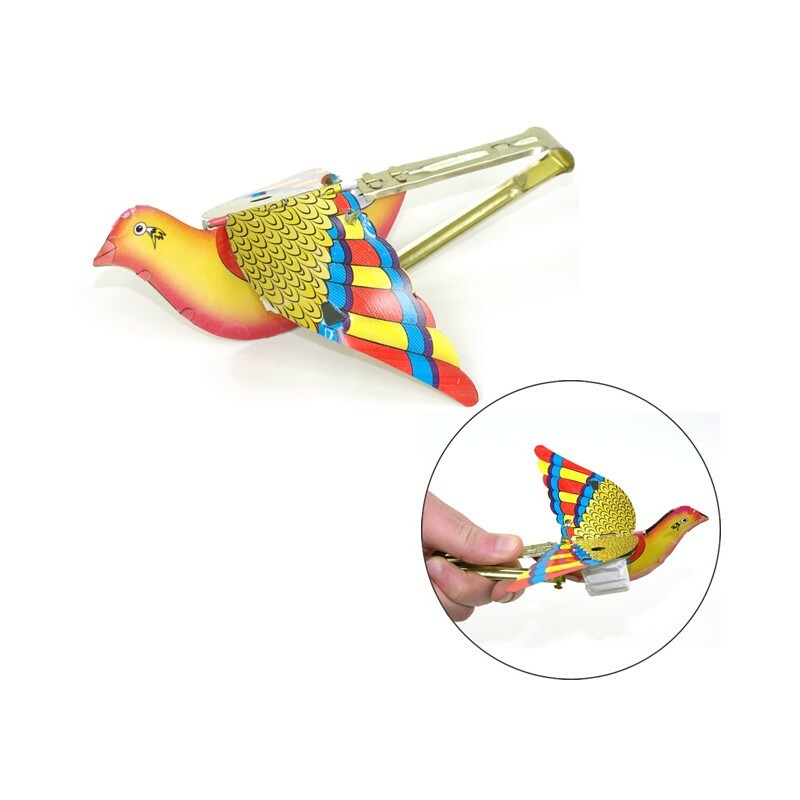 Simply put pressure on the grips (at the back of the bird) to make it whistle, and flap it's wings. 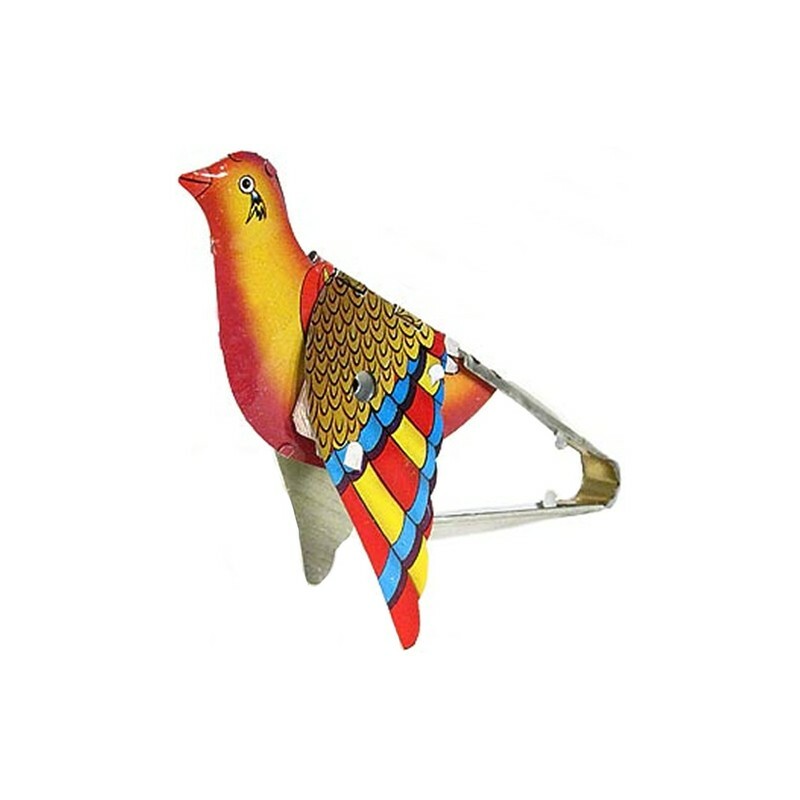 Length 17.5cm, Wingspan 16cm.